Stocksbridge is a small town between Sheffield and Barnsley. It came into existence in the mid-19th century as a centre of steel production. Until the 1970s the local economy and employment continued to be based around the steel works. In the early 1970s the local working class community made huge efforts raising funds to support the establishment of a swimming pool and Sports Centre. Over the last forty years the nature of the town changed with the numbers directly employed in the steel works shrinking massively. New layers of working class people have moved into the town who work in different sectors and often travel to work outside Stocksbridge. 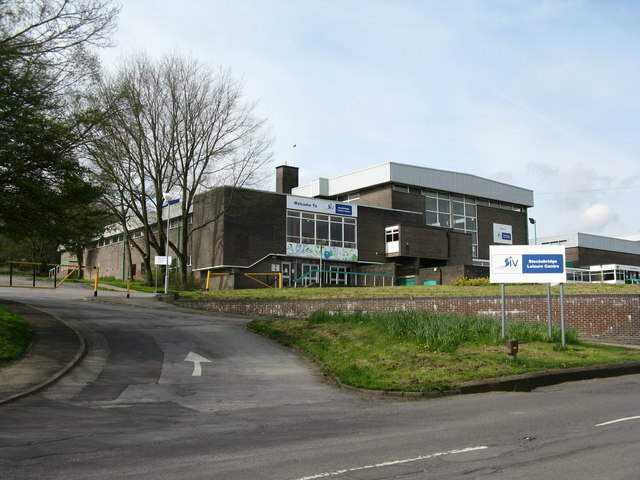 In January 2013 as part of their package of cuts in jobs and services Sheffield City Council announced that Stocksbridge Leisure Centre – the Pool and Sports Centre built in the 1970s - would shut at the start of April with funding set aside to demolish it. The announcement produced an immediate response with more than 700 people gathering outside the Centre in freezing snow on the first available Saturday morning to protest at the plan. The slogan which was chanted was very straightforward, “Save our Leisure Centre, Save it now!”. During the weeks that followed local people organised themselves to campaign for that slogan. Some of the leading voices were people whose parents and grandparents had been involved in months and years of effort and organisation to raise the funds to build the Centre 40 years ago. The role of the Committee is to implement, between Group meetings, decisions and strategic policies decided by the Group. Where there is challenge or doubt the view of the Group will prevail. During February and March the group met regularly with attendance at meetings never falling below 100. In addition, working groups started work organising lobbies, supporting petitioning and carrying out events and activities to publicise the campaign and build support. Alongside that activity 4SLC also had to respond to the fact that the Council was pushing through a budget which embedded their planned cuts. The campaign decided to use all available means which meant that arrangements were made to pursue a “judicial review” – a legal advice that could possibly stall the Council plans and force them away from closure/demolition. Alongside that work a working group completed studies to present a basis for management of the Centre to be passed to 4SLC. This pressure coupled with incompetence by the Council about issuing statutory notices about threats of redundancy resulted in the Centre closure being delayed until the start of May. During the week before the closure a number of activists discussed occupying the Centre to prevent the closure but there was not enough local support for that to happen effectively. During February-April as the campaign continued to show determination and maintain local support from the community and user groups, Sheffield Council buckled under the pressure. Although the legal procedures had not forced a further delay in the closure the Council agreed a plan which averted the planned demolition and allowed the centre to reopen managed by the local community. A Charitable company, the 4SLC Trust, was formed by 4SLC and the Centre, now renamed the Stocksbridge Community Leisure Centre was reopened at the start of October. The experience of a working class community self-organising to save a local facility highlighted a range of lessons both positive and negative. 4SLC proved itself as an organisation capable of carrying out an effective struggle between January and May. Its struggle to defend a community facility was not derailed into abstract sloganising about forcing the Labour Council to adopt a more left-wing face. Its ability to force the Council onto the back foot was based on the campaign being controlled by the activists. On more than one occasion the negotiators pointed out that the Council had to come up with an acceptable offer or it would be rejected by the open meeting. Many of the activists who had never experienced struggle before learnt quickly to trust their own organisation and activities rather than being drawn into the machinations of the local political factions. The strength drawn from collective action has left an imprint which will remain for a long time. On the other hand, we have to be honest about the limits of the victory. Those who fought and won the campaign are now left with the enormous and ongoing task of contributing massive amounts of time and energy to keep the Centre open – “Run by the Community for the Community” as the new signage proudly proclaims. During July and August volunteers contributed thousands of hours of work to the reopened Centre. Their efforts and achievements to refurbish a building neglected by the Council for decades were tremendous. The activity again evidenced the power of cooperation and collective efforts without the direction of bosses or the enforced discipline of waged-labour. To keep the Centre open volunteer effort will have to be maintained indefinitely. This will include everything from maintenance to admin to security to negotiating with the Council etc. The mass meetings to prevent closure and demolition succeeded but that period of struggle has passed. It’s now been replaced by the challenges of organising a “not-for-profit” business at a time when the effects of the global crisis continue to rip away at working-class communities. The ability of the state to “recuperate” our efforts is very clear. The challenge of running a cooperative enterprise in an ocean of decaying capitalism has been well-rehearsed. We recognise that such an outcome is one of the possibilities when local struggles push back capitalism’s attacks. But all the difficulties ahead cannot mask the benefits of the experience of self-organisation in struggle. Hundreds of working-class people in a small town have seen that it is possible to push back attacks through collective action. For all its limitations, the Stocksbridge campaign is part of the movement towards a general fightback.